Standing Seam roofing is becoming increasingly popular on new housing developments; it is attractive and compliments contemporary designs. Not all standing seam roofing is metal however. Here’s a luxury housing project which we’re working on where the standing seam is provided by a high quality PVC membrane made in the UK. 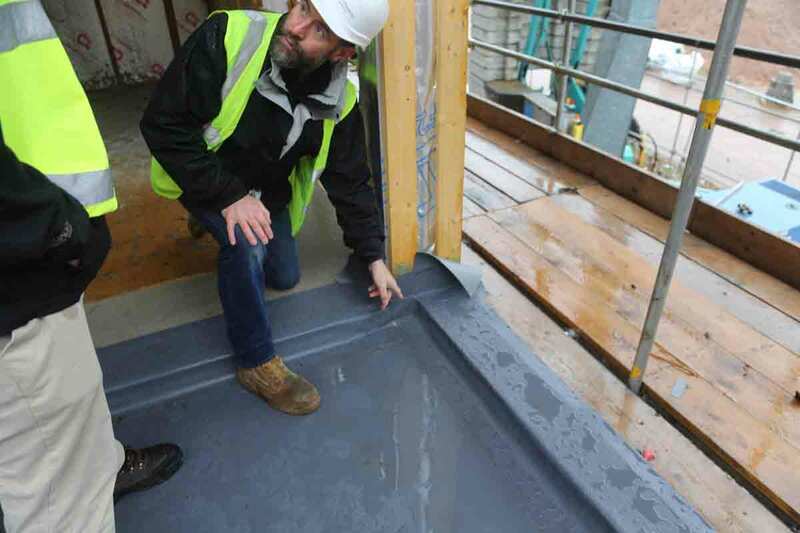 SIG Design and Technology specified Armourplan PSG fleece backed membrane as the single ply waterproofing system for a development of 25 luxury homes being built on the former garden site of St John’s School of Mission in Bramcote village, Nottingham. The same high-quality PVC compound is used on both the upper and lower side of the membrane, ensuring optimal weld strength and quality. 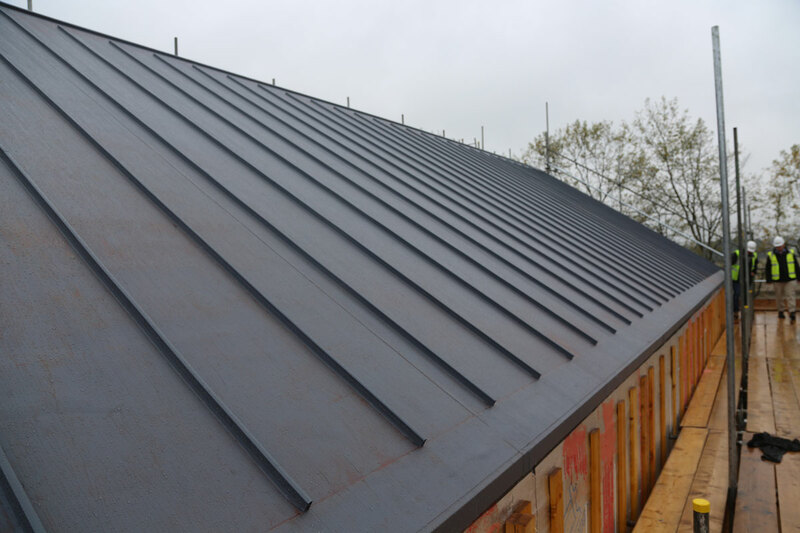 IKO’s Laminated PVC Coated Metal, a galvanised steel, was used to form bespoke trim detailing on the main high-level roof, the drip edges matching the membrane’s slate grey colouring. 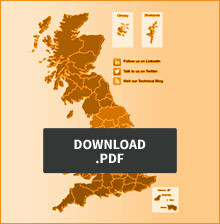 Armourplan, which is recognised as a suitable aesthetic fit for conservation projects, carries a 20-year guarantee. Baxter Green is due for completion in 2019. Download the datasheets for Armourplan PSG membrane , Standing Seam Profile and Membrane Coated Metal. 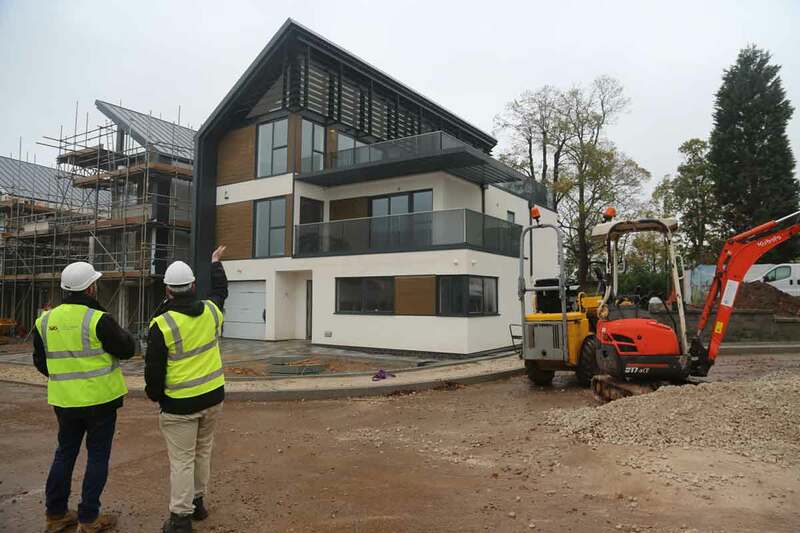 Read about Lymington Shores, another luxury housing development using membrane roofs and standing seam profiles, this time in Hampshire and using Rhepanol fk PIB membrane. Read more about membrane alternatives to metal roofing, including lead and copper.